Is the table already set and decorated? Then it’s teatime for best friends or favorite dolls! 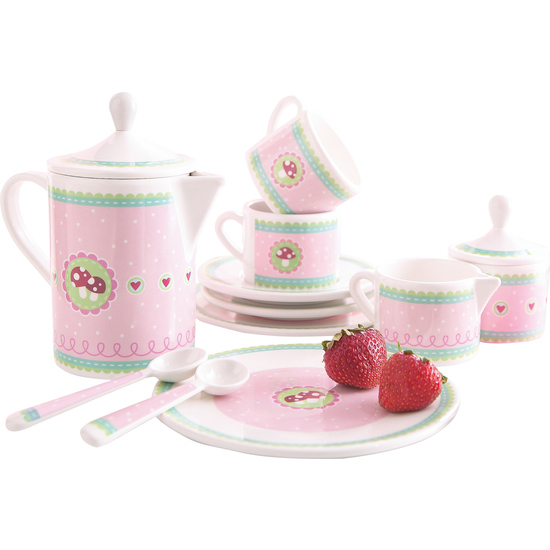 This tableware play set contains everything children need for delightful teatime scenarios. Contents: 2 plates (Ø 14 cm), 2 cups with saucers, 2 spoons, coffeepot (height 14 cm), creamer and sugar bowl.